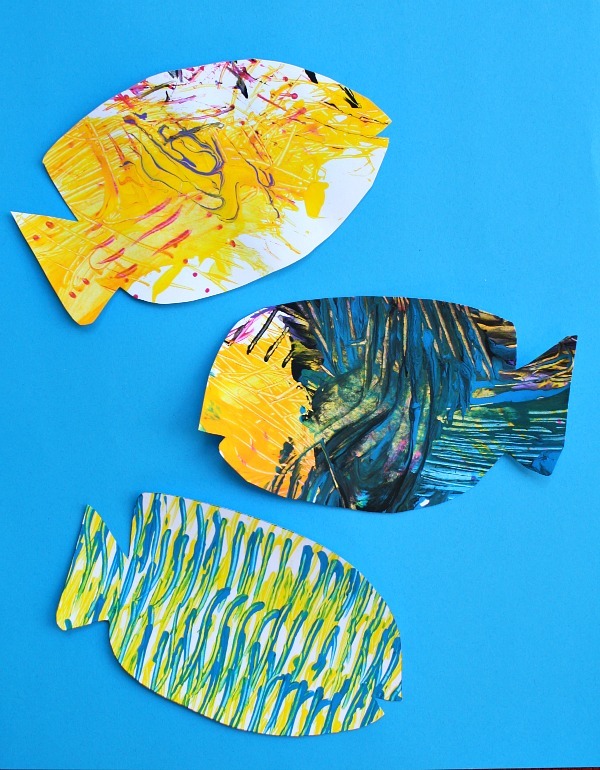 While we’ve been exploring our fish theme, we’ve been creating a whole school of fish crafts. 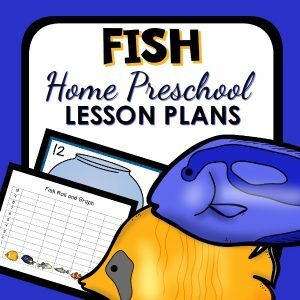 Last week we shared our marbled fish craft. 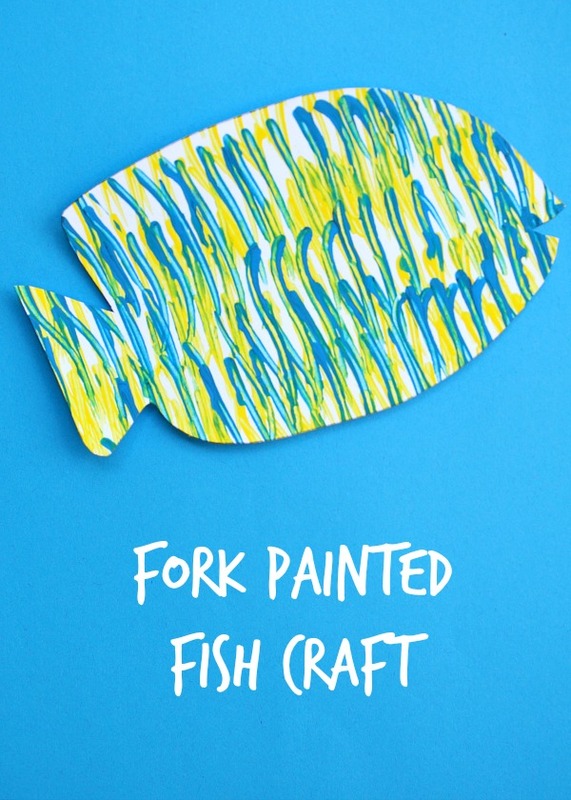 We also painted with forks to make some more tropical fish for our large group mural. 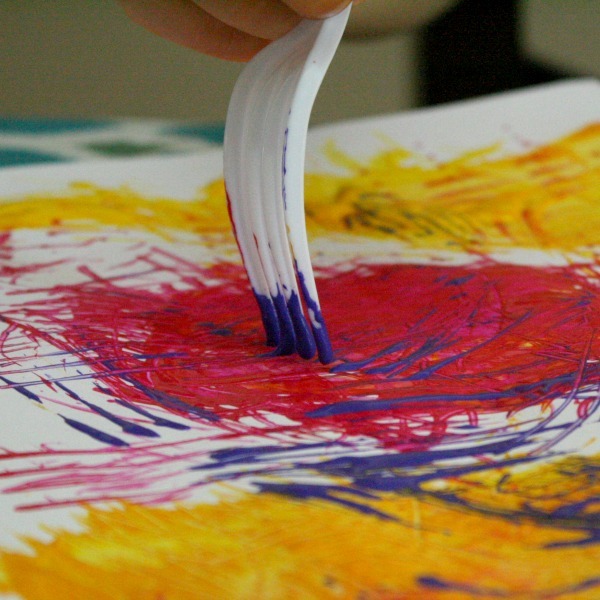 To make our fish we used white card stock, plastic forks, and washable tempera paint. 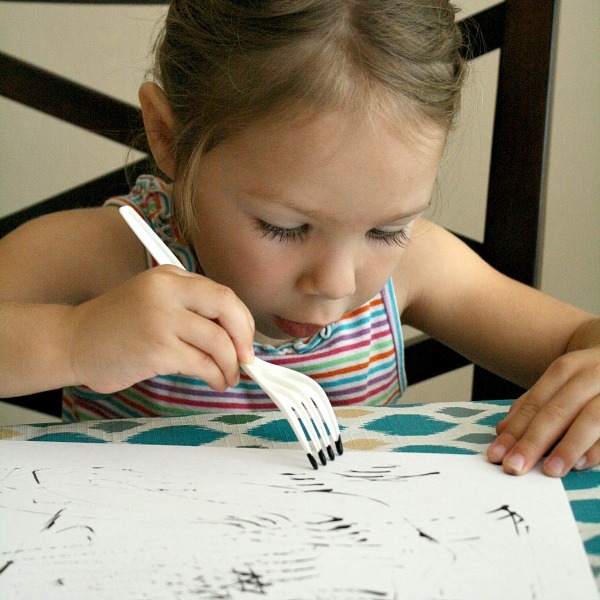 We have used forks for painting since we learned about inchworms, so it was like a whole new experience for the kids. They experimented with ways to hold the fork, tapping it, dragging it, swirling it, and more. When they were finished, I cut out a basic fish shape, and we had some very colorful fish to add to our display. The Amazon widget below includes some of the books we’ve been reading. 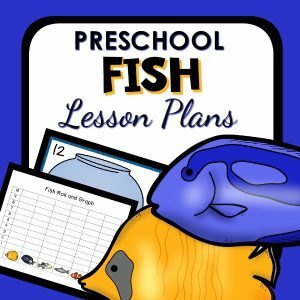 Visit our ocean theme Pinterest Board for more fish activities and ideas for learning about ocean animals. 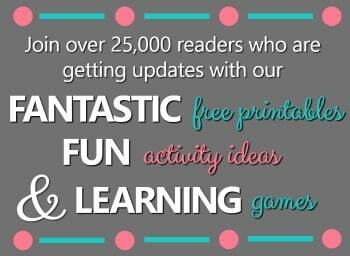 Follow Shaunna @ Fantastic Fun and Learning’s board Ocean Theme on Pinterest. What a lovely idea. I’ve featured this on the Sunday Showcase this week. Oh I love this idea SO much! 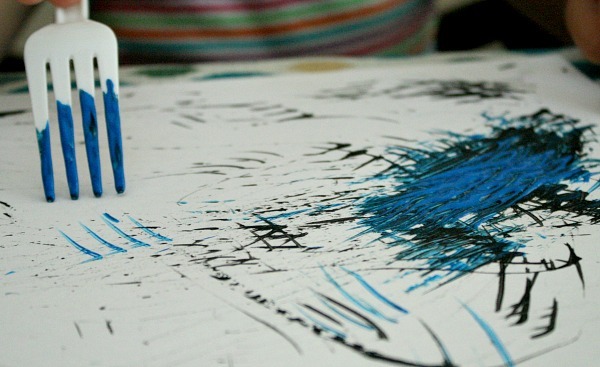 I will be trying this with my 2 year old son and niece soon. Hopefully they don’t try and eat the paint lol! And thanks! I’m not very artistic, so I appreciate that you like the fish shape. I love this craft. I just pinned it and will be featuring it this week at Meaningful Mama. 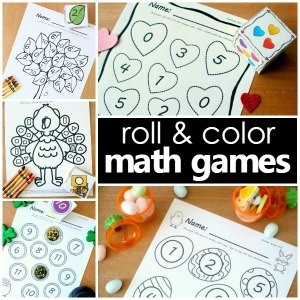 Thanks so much for linking up at Mom’s Library. I love your content and hope you’ll be joining us again this week! I love this! My son and husband love to go fishing, so we will def be doing this for a father’s day gift!! Ps. Your daughter has the most beautiful eyelashes in the world!! What a fun and meaningful gift idea that celebrates one of their favorite times together. Love it!